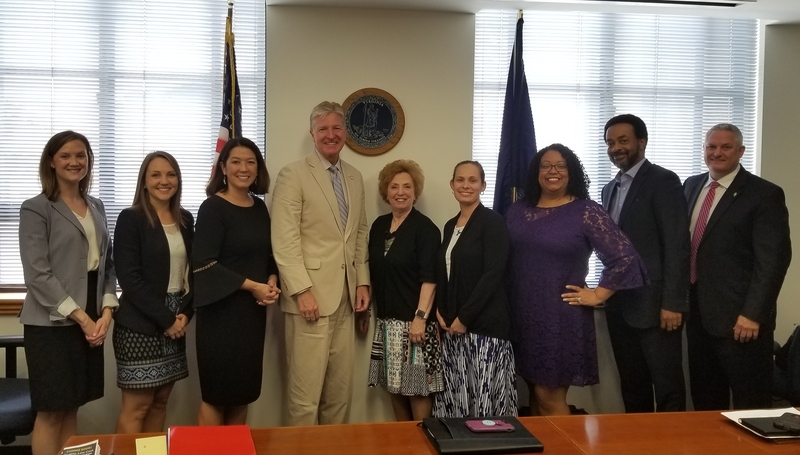 Commonwealth Secretary of Safety, Brian Moran, DCJS Executive Director, Shannon Dion, Deputy DCJS Director, Megan Peterson and PAPIS Leadership from throughout the Commonwealth met to discuss a variety of issues and plan for the coming fiscal year. Also shown in the photo are Sandra Brandt, Executive Director STEP-UP, Incorporated; Sara Dimick, Executive Director OAR Richmond; Elizabeth Jones, Executive Director OAR Arlington, Derwin Overton, Executive Director OAR Fairfax; and Hal Diggs, Agency Director Colonial Community Corrections. 2. Complete personal information in Section 1. 3. If you are making the application on behalf of another individual, complete Section 2. 4. Indicate the action you wish the board to accomplish in Section 3. 5. In section 4, indicate whether you wish to appear before the board in Washington D.C., wait for a traveling board, or have a records only review. 6. If another person is representing you, complete section 5. 7. Complete Section 6 if you elect not to be represented by counsel. 8. List supporting documentation in Section 7. 9. In Section 8, tell the board exactly why they should consider upgrading your discharge. 10. Sign and Date the Form in Section 9. 11. Mail the completed form to the address listed on the reverse side of the DD Form 293. 1. Most of these requests are not approved. To maximize your chances, it is a good idea to be represented by an experienced attorney. 2. If the Discharge is over 15 years old, you must apply for a Correction of Military Records. 3. It may take several months for the board to review your application and make a decision. “Inequitable” means the reason or characterization of the discharge is not consistent with the policies and traditions of the service. “Improper” means that the reason or characterization of the discharge is in error (i.e., is false, or violates a regulation or a law). Your Right to Apply for Correction of Records. If you received anything other than an “Honorable” Discharge, your VA Benefits may be affected. Here are detailed instructions on how to apply for consideration in having your discharge upgraded. Be sure to read carefully and follow the detailed instructions in the file above to the letter. Have someone go over the final results for you to ensure you did not leave anything that was required out of the consideration request. Getting a Discharge Upgrade Reconsideration improved will not only affect your VA Benefits, but will make you look more viable to an employer. STEP-UP, Incorporated is active with all the Hampton Roads Reentry Councils, in addition to teaching pre-release classes in the area jails, and assisting post-release clients as they are released into the community. 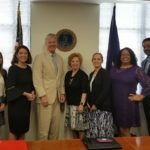 STEP-UP has taken a leading role in regional reentry programs and continues to provide returning citizens with valuable assistance in becoming employed, productive citizens.